The Bank of America® Business Advantage Travel Rewards World Mastercard® credit card has the busy business traveler, particularly the busy international business traveler, in mind, and there are plenty of card features, including generous bonuses right from the start, that make this a card worth checking out. You earn three rewards points per $1 on travel booked through Bank of America's Travel Center, powered by Expedia®, and 1.5 points per $1 spent on all other purchases. Plus, if you're a Business Advantage Relationship Rewards client, you can get up to a 75 percent bonus on your base rewards earning depending on your relationship tier (25 percent for Gold, 50 percent for Platinum and 75 percent for Platinum Honors). And, as you'd expect with a travel rewards card, there are no foreign transaction fees to eat into your rewards. There are no limits on the points you can earn with the Bank of America® Business Advantage Travel Rewards World Mastercard® credit card and your points don't expire. So whether your business travel takes you to domestic locations or abroad you'll get plenty of rewards when you book travel through Bank of America's Travel Center and bring along your Bank of America® Business Advantage Travel Rewards World Mastercard® credit card on your business trips and excursions. And because the Bank of America® Business Advantage Travel Rewards World Mastercard® credit card uses chip technology, there is a greater level of security in using the card in the U.S. and abroad in the more than 130 countries, including Canada, Mexico and the United Kingdom, that accept chip credit cards. Earn three points per $1 on travel booked through Bank of America Travel Center, powered by Expedia®, and 1.5 points per $1 on all other purchases. Take advantage of an intro 0 percent APR on purchases for the first nine billing cycles (then, 13.49% - 23.49% Variable APR on purchases). There's no annual fee or foreign transaction fees to eat into your rewards. The rewards are consistent, but not huge. If you know you spend a lot in particular categories, you could likely earn more rewards with a card that offers bonus rewards in those categories. Many business cards with perks and rewards potential as rich as with the Bank of America® Business Advantage Travel Rewards World Mastercard® credit card charge an annual fee for the privilege of carrying the card. Not so with this card, a definite plus for business owners who are always thinking about their bottom line and how to cut expenses. In this case, not only does the Bank of America® Business Advantage Travel Rewards World Mastercard® credit card keep you from spending money to carry the card, it could actually put money back in your pocket, and it can do it within months of your opening an account. With the Bank of America® Business Advantage Travel Rewards World Mastercard® credit card, you earn 25,000 bonus points when you spend $1,000 on your card within the first 60 days – redeemable for $250 in statement credit toward travel purchases. Since Bank of America® Business Advantage Travel Rewards World Mastercard® credit card doesn't come with an annual fee, any rewards you redeem are just offsetting the purchases you'd be making anyway. And cardholders have a number of options for redeeming rewards points. Your earned points don't expire and can be redeemed for gift cards, cash or travel with no blackout dates. Cardholders earn unlimited rewards at a rate of 1.5 points per $1 spent on the card. If you book your travel through Bank of America's Travel Center (powered by Expedia®), however, you'll earn three points per $1 spent. Suddenly, those business trips look a little less expensive. Speaking of business trips, a business travel rewards credit card wouldn't be complete without some features and perks to make your road warrior days a bit more comfortable or convenient and the Bank of America® Business Advantage Travel Rewards World Mastercard® credit card doesn't disappoint. Travel-related perks such as online management tools and up to $1 million in travel accident insurance, lost luggage reimbursement, trip cancellation coverage and trip delay reimbursement are among the perks you'll appreciate on with this card (even though you hope to never need some of them). When it comes to managing your account, the Bank of America® Business Advantage Travel Rewards World Mastercard® credit card comes with cash flow management tools and online services including automatic payments and transfers as well as the option to download transactions directly to QuickBooks while tracking each step in a My Report Center. With the Bank of America® Business Advantage Travel Rewards World Mastercard® credit card, you can monitor your account 24/7, so you'll be able to keep close tabs on account activity for you and each of your employees wherever you are and wherever they are. The Bank of America® Business Advantage Travel Rewards World Mastercard® credit card comes with zero liability protection for unauthorized purchases and there is additional protection for misuse by terminated employees. Additionally, the Bank of America® Business Advantage Travel Rewards World Mastercard® credit card offers a 0 percent introductory APR on purchases for nine billing cycles from the card's account-opening (then, 13.49% - 23.49% Variable APR on purchases). If you're looking to make a large purchase or perhaps have some start-up expenses ahead, this card allows you to take a bit more time to pay off those purchases interest-free. The Bank of America® Business Advantage Travel Rewards World Mastercard® credit card offers plenty of great perks, but a great balance transfer intro offer is not among them. Without an introductory offer for new cardholders, you'll pay the standard APR for balance transfers right off the bat plus a fee of $10 or 4 percent of the amount of the transaction, whichever is greater. In other words, if you are looking for a card on which to consolidate some business debt, this probably isn't the right fit. Additionally, while there is no penalty interest rate should you pay your bill late (a plus) there is a complicated late fee structure, and let's face it: Business owners are busy folks, so a late payment isn't entirely outside the realm of possibility. Late fees range from $19 if your balance is less than $100 all the way up to $49 if your balance is greater than $5,000. Lastly, the rewards-earning structure is easy to understand and consistent, but if you know your business spending occurs disproportionately in particular categories, you'd likely be better off with a card that rewards that particular spending rather than offering a flat 1.5 points across the board and three points on travel booked through Bank of America's travel system. Earn unlimited 1.5 points for every $1 spent on all purchases everywhere, every time-no matter how much you spend. Points don't expire. Earn 3 points per every dollar spent on travel purchases (car, hotel, airline) booked through the Bank of America® Travel Center - powered by Expedia®. The Capital One® Spark® Miles for Business credit card offers an opportunity to earn two miles for every $1 spent on any purchase at any time. Those miles can then be redeemed without blackout dates or restrictions to consider, so it's definitely an option should your business require frequent flying. And the welcome offer is attractive: Earn a one-time bonus of 50,000 miles when you spend $4,500 in the first three months of opening your account. The catch, however, is that the Capital One® Spark® Miles for Business card's annual fee should be considered after your first year. The annual fee is $0 intro for first year; $95 after that, so if you spend less than $1,000 a month on the card after year one, you're likely better off with the annual-fee-free Bank of America® Business Advantage Travel Rewards World Mastercard® credit card. The Bank of America® Business Advantage Travel Rewards World Mastercard® credit card is also a better option if you're in the market to make a number of purchases right away and take some time paying them off interest-free (then, 13.49% - 23.49% Variable APR on purchases); the Capital One® Spark® Miles for Business doesn't offer an interest-free intro period like the Bank of America card does. If you have a particular loyalty to American Airlines, the CitiBusiness® / AAdvantage® Platinum Select® World Mastercard® (Citi is a Cardratings advertiser) could certainly be the way to go when it comes to business travel rewards credit cards. The CitiBusiness® / AAdvantage® Platinum Select® World Mastercard® offers cardholders two times the miles on American Airlines purchases as well as two times the miles with telecommunications merchants, cable and satellite providers, car rental merchants and at gas stations. All other purchases earn one mile per $1 spent. The catch, of course, is that your miles are American Airlines AAdvantage® frequent flyer miles, which restricts your redemption to options offered through American Airlines and its travel and hotel partners. If you're ok with a few more restrictions on your redemption options, the CitiBusiness® / AAdvantage® Platinum Select® World Mastercard® does offer you a free first checked bag on domestic itineraries for you and up to four companions on the same itinerary. The annual fee is $99, waived for first 12 months*. Overall, the Bank of America® Business Advantage Travel Rewards World Mastercard® credit card offers greater flexibility, if slightly lower rewards earning potential, and with no annual fee. 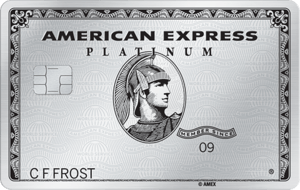 American Express® Business Gold Card (American Express is a cardratings.com advertiser) isn't specifically a travel rewards business card, but you can redeem reward points for travel as well as a number of other products, services and cash back, making this the most flexible card mentioned here when it comes to redemption options. Right now, it's offering 35,000 bonus Membership Rewards® points after you spend $5,000 in the first three months. 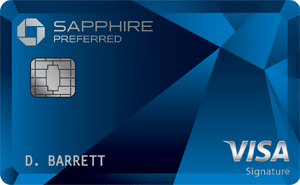 You also have a tremendous amount of flexibility when it comes to earning rewards with American Express® Business Gold Card. Get 4x Membership Rewards® points on the two select categories where your business spends the most each month. (4X points apply to the first $150,000 in combined purchases from these 2 categories each calendar year.) Also get 25% points back after you use points for all or part of an eligible flight booked with Amex Travel, up to 250,000 points back per calendar year. The perks continue: Get up to 1 year free on a subscription to both G Suite Basic for up to 3 users and ZipRecruiter Standard, a combined value up to $3,200. There is also a flexible payment option that can help manage cash flow on purchases of $100 or more. Access expense management tools: Connect to Quickbooks, access SpendManager℠, receive a Year-End Summary, and more. You can also add employee cards with a no annual fee option and earn rewards on employee purchases while tracking employee expenses with spending limits, alerts and summary reports. The annual fee is rather steep, $295 (Terms apply. See Rates and Fees), so you'll want to determine whether your business spending fits into the bonus reward categories and if you spend enough to offset that fee with the rewards you'll earn. Business-focused travelers who are looking for a credit card with a rich, unlimited rewards program, no annual fee and plenty of travel-specific perks and protections should take a long look at the Bank of America® Business Advantage Travel Rewards World Mastercard® credit card. If you have some purchases on the horizon that you might need a few extra months to pay off, you'll especially appreciate the introductory 0 percent APR period (then, 13.49% - 23.49% Variable APR on purchases).